Juanita Raulerson Baumwald, age 89, is now present in the presence of her King and Savior. She was a resident of the Frank Wells Nursing Home, in Macclenny, Florida, for the last 4 years, where she loved to play BINGO! She was born to the late Charles and Genevieve Raulerson of St. George, GA. Along with her parents; she is preceded in death by her son, Sandy Baumwald, and her two brothers, J.C. and Rudolph Raulerson. Juanita owned Juanita’s Flowers and Gifts, in Macclenny, for many years. She was very proud that she was the final Charter Member of the St. George Church of God, which she reminded us on a regular basis. 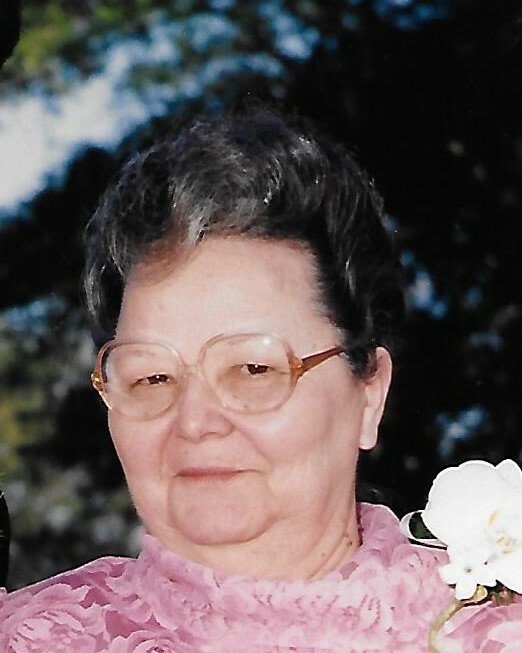 Juanita leaves behind her daughter, Phyllis (Jim) Britt of Ashville, NC; her sister, Libby (Raymond) Whittle of Macclenny, FL; three grandsons, David Baumwald of Starke, FL, Shane (Jane) Baumwald of Tampa, FL, and Trevor Baumwald of Tokyo, Japan; and a very extraordinary, precious great-granddaughter, Stella Day Baumwald of Tampa, FL. She also leaves behind her special friend and roommate at Wells Nursing Home, Mrs. Sally Meeks. A funeral to honor Juanita will be held on Saturday, September 15, at 11:00am at the St. George Church of God. Her interment will follow at Boone’s Creek Cemetery in St. George, GA. The family will receive friends for a visitation on Friday, September 14, from 6:00 to 8:00pm at Guerry Funeral Home in Macclenny, FL. Reverend Grady Allbritton will officiate services assisted by Reverend Tim Thomas. Guerry Funeral Home of Macclenny is in charge of arrangements.